Could be. How does Hot Topic's price compare to Barnes & Noble? Maybe around 3 inches, maybe 2.5. Not sure what B&N charges, but Hot Topic is around $12-14 depending on if there is a sale going on. My Neo Shodo's arrived! Not to shabby at all! Very cool. 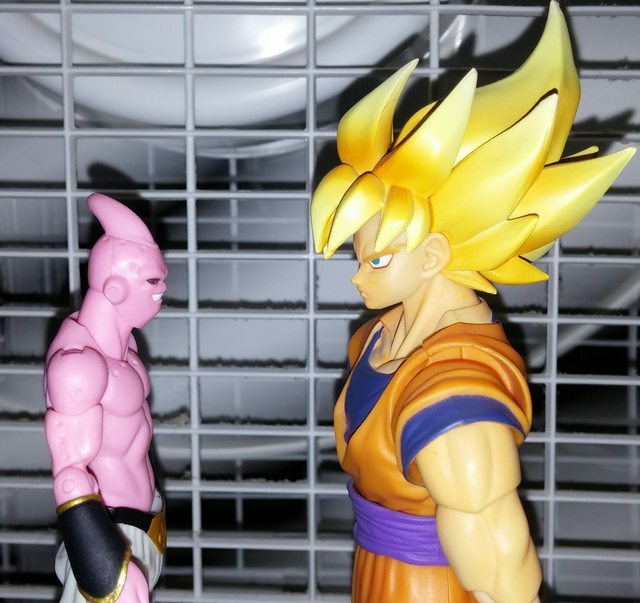 Can you by chance take a picture of the Super Buu next to a figuarts Goku? Here are some more pictures and a comparison. Thank you, very much. 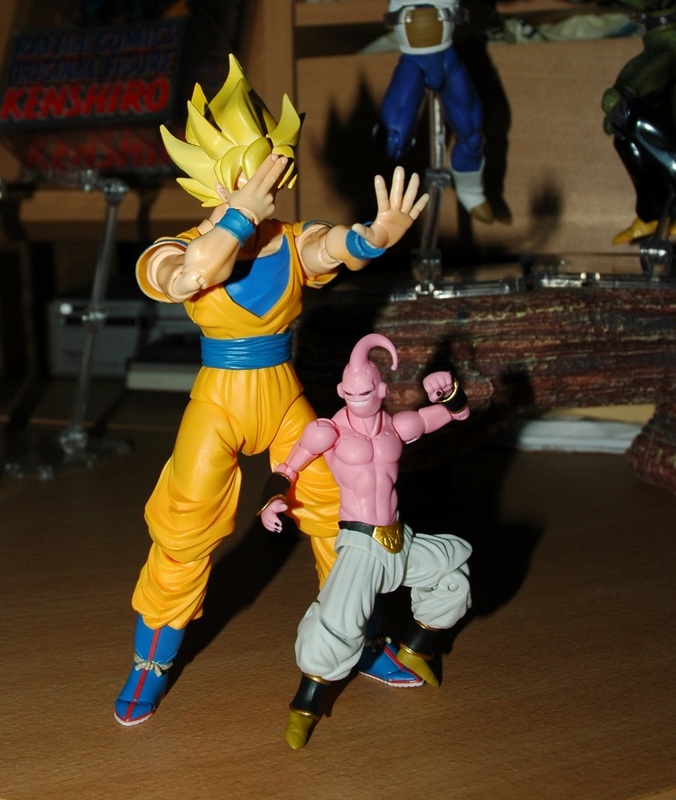 Hmm...with a head swap, that might just work as a Pure Buu stand in. Doesn't really look that much smaller than this one, that other people use. That might work with a new head... I dunno... I'd have to see it done to know for sure. 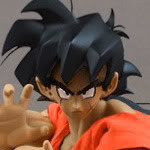 He just seems like he might still be weird looking in a Figuarts display, due to proportions and whatnot. 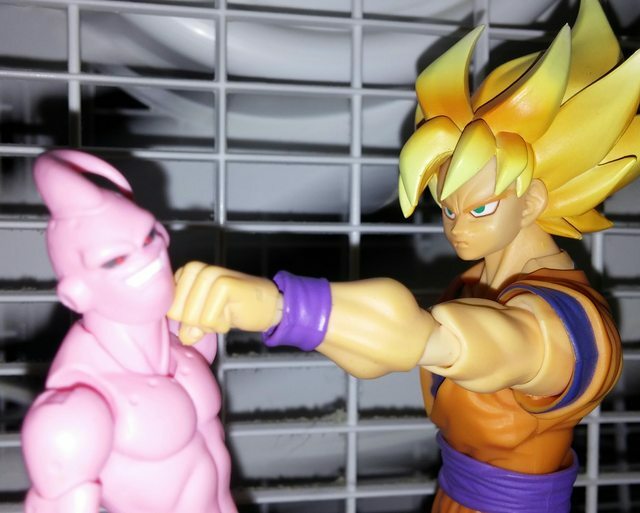 guys do you know if super buu fits with the hybrid action scale? Unfortunately, not. Hybrid Action figures are in a 4-5" scale, with Shodo Neo being closer to 3" scale. 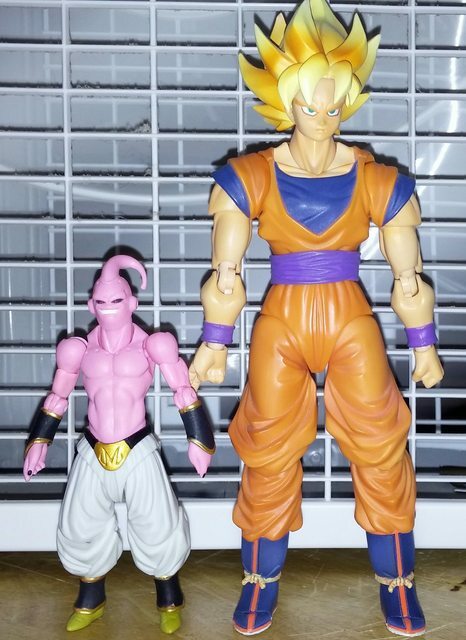 The Shodo Neo Vegito is about an inch shorter than the Hybrid Action Vegito, so the Shodo Neo would be equally undersized. 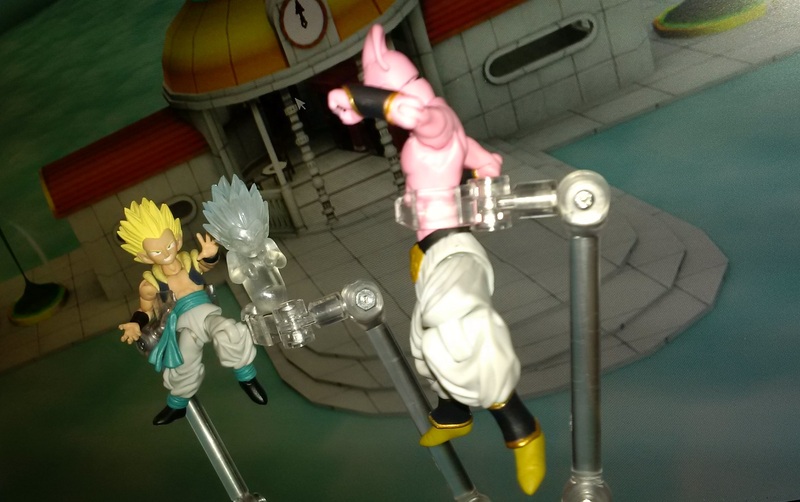 I think some figuarts hands might fix it a little bit, with the headswap. But, if might be iffy. 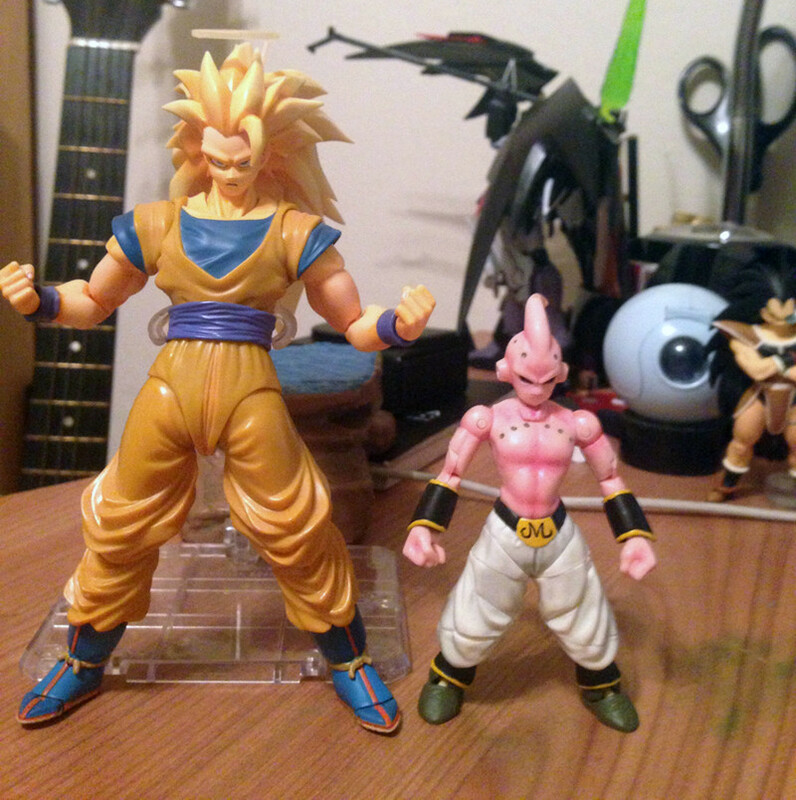 I'd rather have a shorter Pure Buu, than a taller and bulkier Figurerise though. Just need to see more comparisons. I wonder how long it will be until these get a domestic release? Just FYI, in case you didn't know. BBTS has this up for pre-order...no pics as of yet though. This is the 4th installment of SHODO series. Each figure is approx. 95mm (3.75 inches) tall and includes interchangeable hand parts. 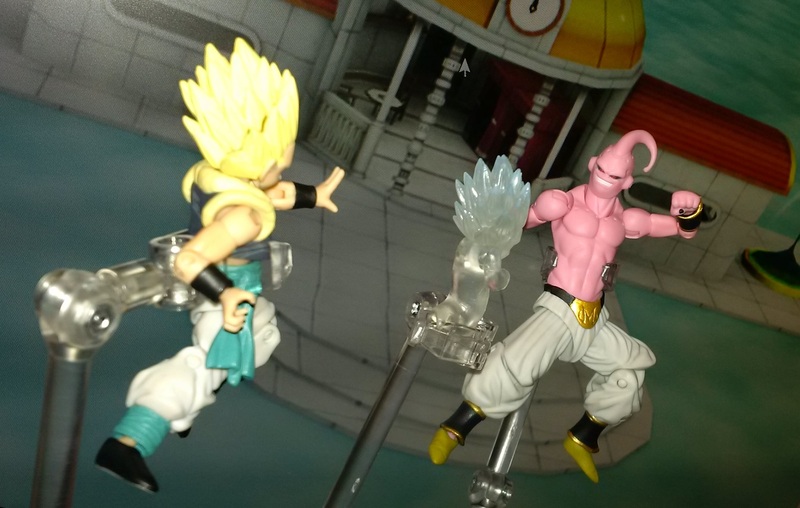 High quality molding and an impressive number of articulation points allow for dynamic action posing to replicate scenes from the anime. 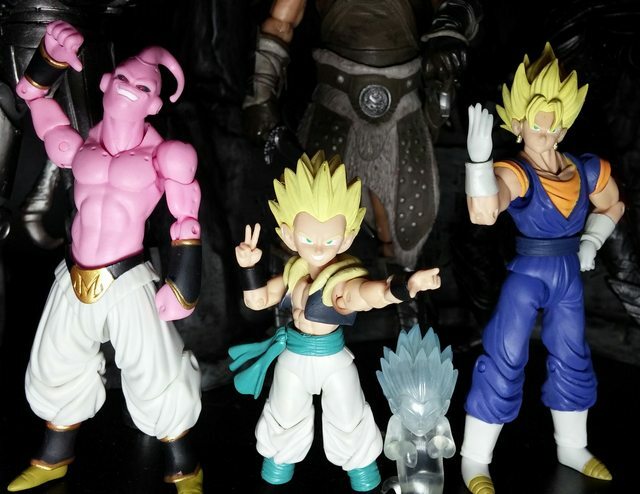 It features 3 popular characters: Goku, Vegeta, and Nappa. 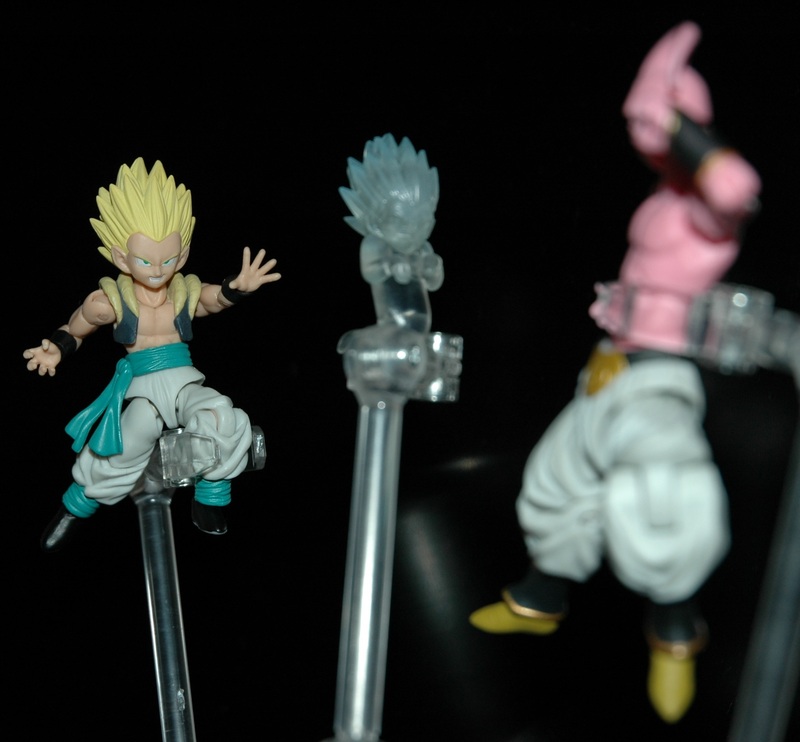 Well Tamashii just announced Figuarts Gotenks and Nappa (again), so the shodo lines pretty redundunt now. I was only trying to fill gaps. 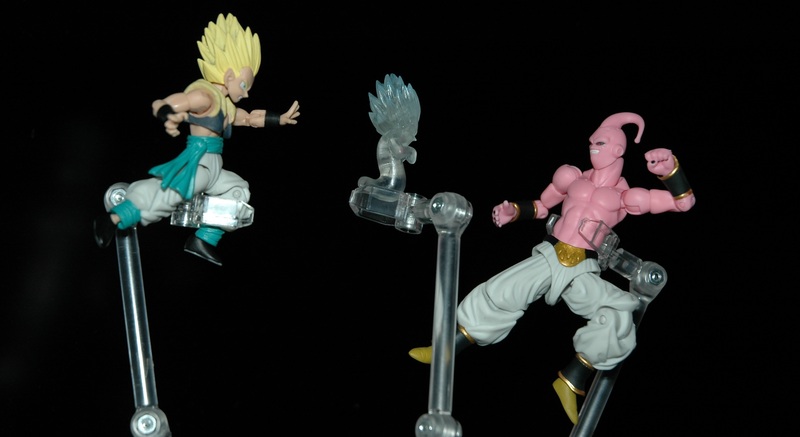 I'm guessing this will be Saiyan Saga Vegeta and Goku.